I’ll post about my trip to Amami at the end of last year. I didn’t have nothing to do at Amami and thought nothing. I went to Amami just because I got flight ticket between Amami at very inexpensive price. 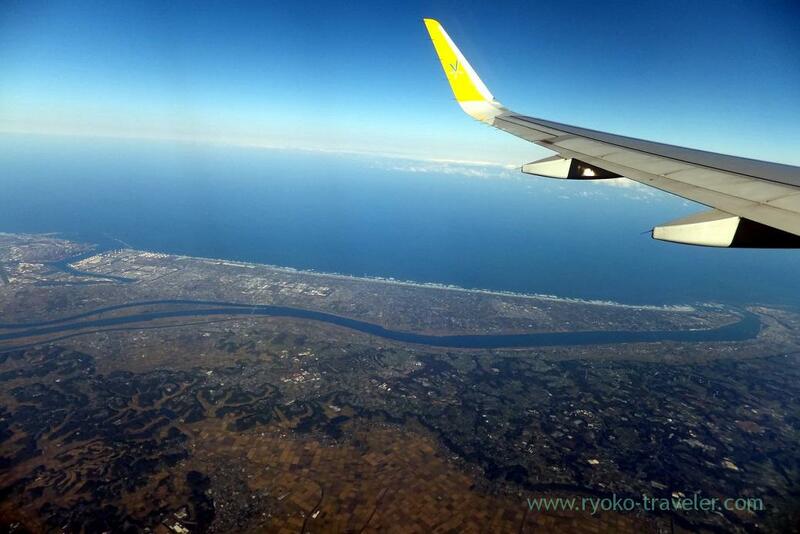 I posted about my trip to Hokuriku and Tokai before Amami trip because Amami is warm all year around. I took Vanilla air as usual. It takes one and half hour or so from Narita to Amami. Amami airport is very small. Only JAL have the service between Haneda and Amami and it is very expensive because it was only the flight service between Metropolitan area and Amami. Amami island is a part of Kagoshima prefecture. It is the largest remote island of Kagoshima. Amami airport is connected to remote islands of Kagoshima prefecture (Kikai island, Tokuno(shima) island, Okinoerabu island and Yoron asland) by air as same as Kagoshima airport. It takes about one hour from Amami airport to Nase that is the main town of Amami. I got to the airport around 4 p.m, so, when I got to my hotel, it was already around 5:30 p.m. I was starving, so I got out of my hotel just after check-in and went to the restaurant that I wanted to go. It was past 6 p.m., There restaurants were already packed with people. Everyone already got drunk ! Their NIGHT is so early ! 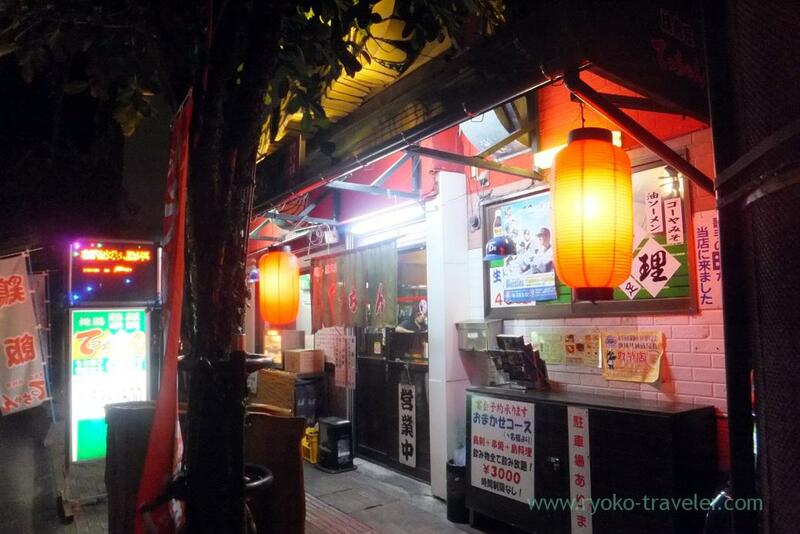 I managed to enter the fourth restaurant that is named Yakitoriya Tecchan. 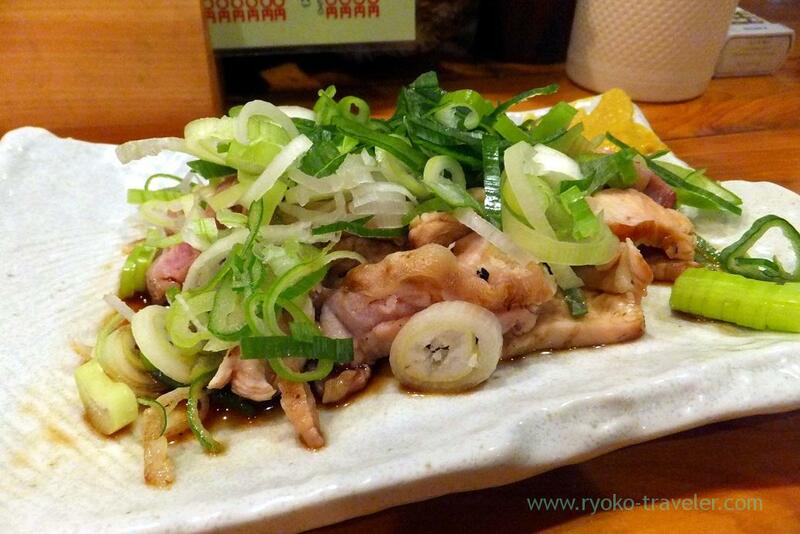 They are yakitori restaurant, but they also serve various local foods of Amami like abura abura-somen and keihan. Though I got shot down at first because only three ladies cooked and served for large group. But they led me to the seat. 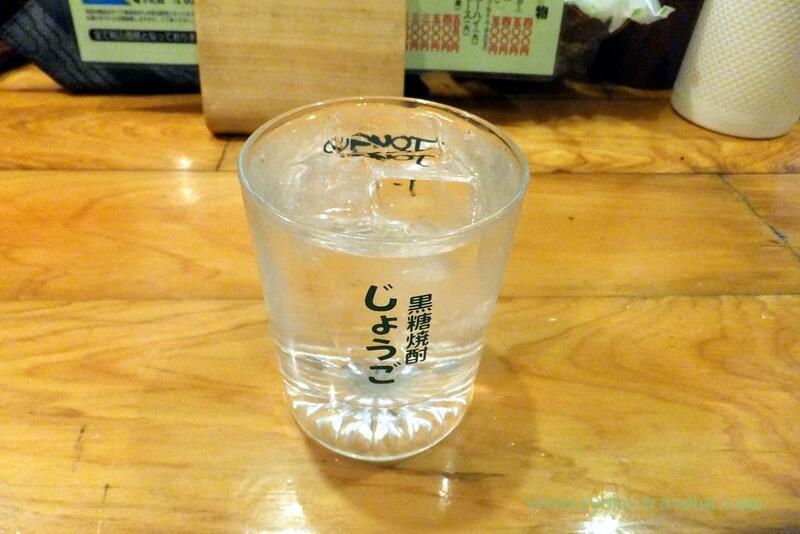 Shochu is one of the specialty of Kagoshima. And Amami have the largest market share of brown sugar as well as Okinawa in Japan. 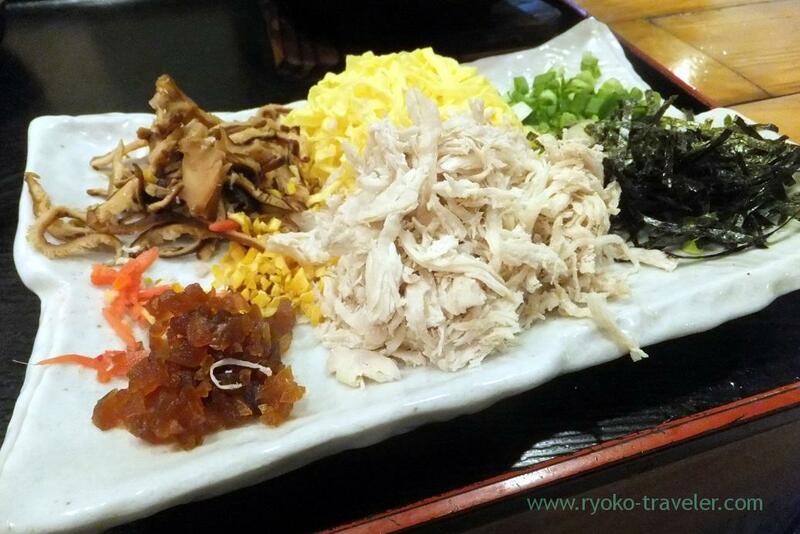 I ordered Keihan and jidori chicken sashimi set (鶏飯セット地鶏刺身付, 1550 yen). Though they said they take much time to prepare my meal, but chicken sashimi was served soon. I thought chicken sashimi is served on the small dish. But it was large ! The menu says it is “sashimi”, but it was cooked well :p Medium rare ? Keihan had 2.5 bowls of rice ! And the ingredients are served separately. 1) Put rice into the rice as you like. 2) Put separated ingredients on the rice. 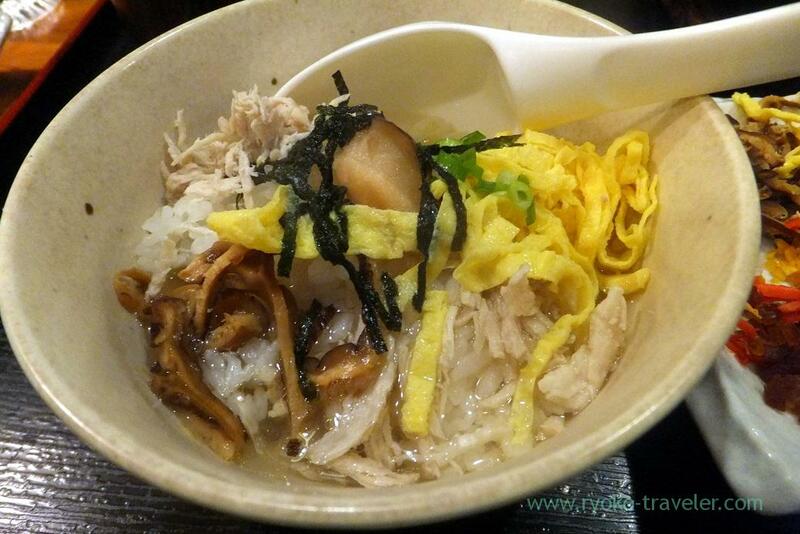 Ingredients were dried seaweed, boiled chicken, pickles, boiled shiitake mushroom with soy sauce, shredded fried egg and green onion. 3) Put soup on it and then eat. The soup was tast. This was the first time to eat keihan. 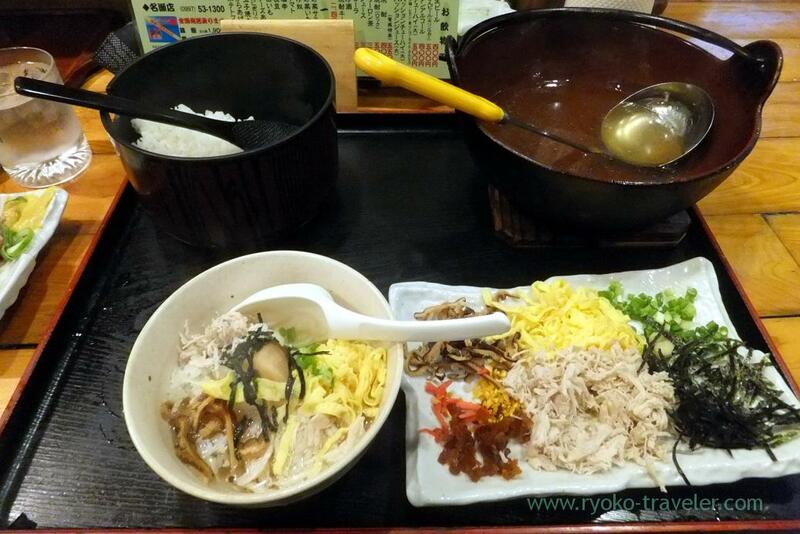 Keihan is the local food of Kagoshima. So, Keihan is eaten in Amami, too. 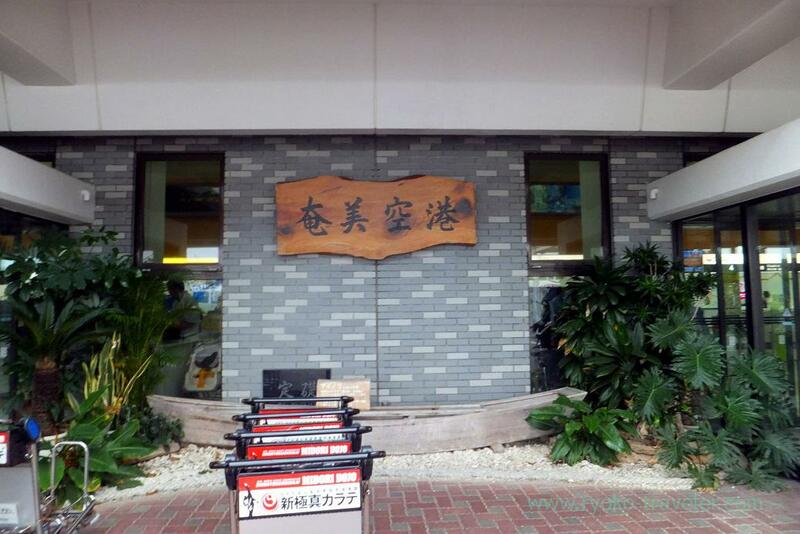 I thought food culture of Amami is similar to Okinawa well before visiting there. But I learned it is far from Okinawa’s food culture.